This Duo LCD Charger from Watson charges 1 or 2 NP-FW50 batteries via the included dedicated plates. These can be replaced by optional plates for various other batteries. 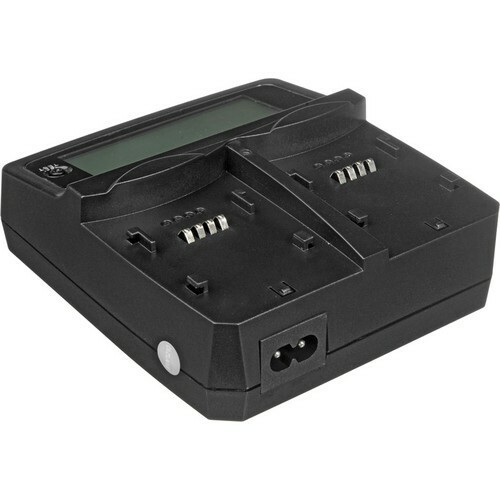 The Duo can even simultaneously charge 2 different batteries with different voltages. 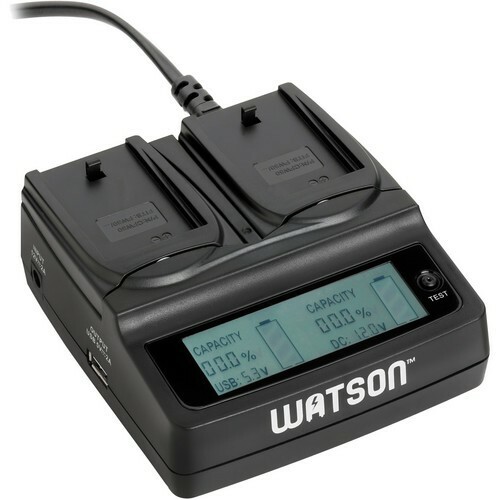 It runs on 100-240VAC power, allowing for use all over the world. 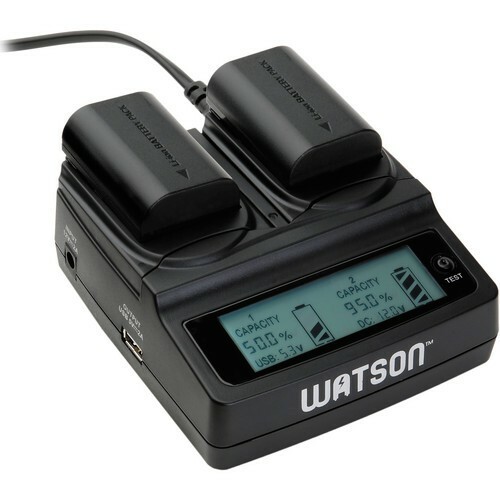 Charging time is between 2 and 6 hours, and the charger also features a USB 2.0 port for charging another device simultaneously. 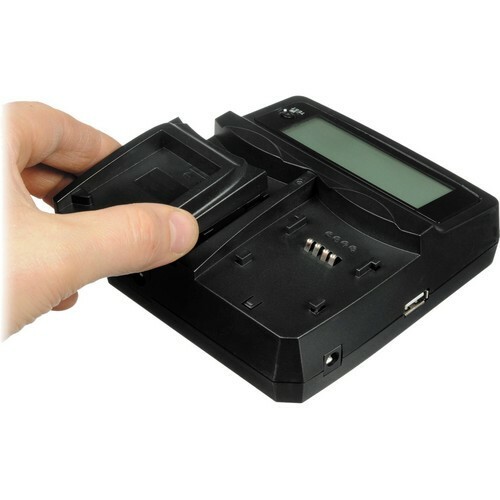 The LCD screen provides a digital read-out of each battery's charge percentage--even when the charger is unplugged--via the test button. 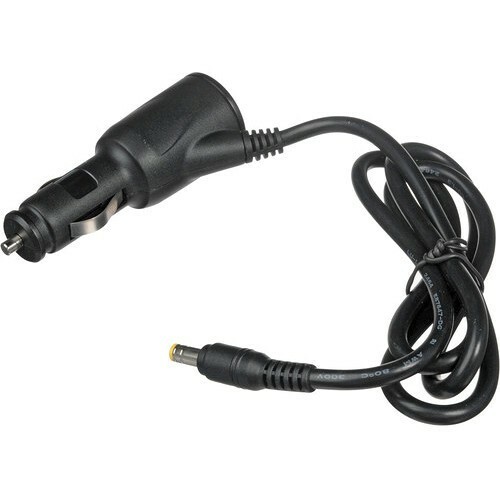 The Duo includes a power cord with a 2-prong US plug, as well as a 12VDC car charger that plugs into a cigarette lighter.